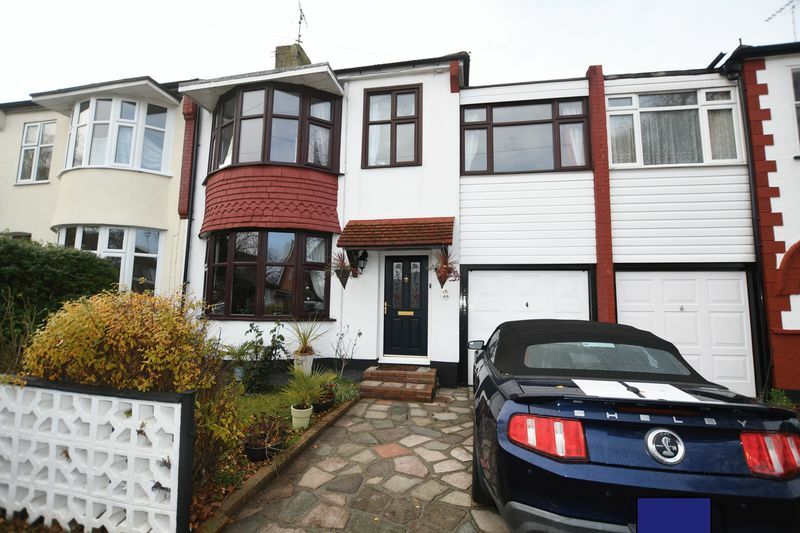 Price Range £450,000 - £490,000 A truly immaculately presented property which is located in a popular area and offering spacious accommodation of nearly 1600 square foot. 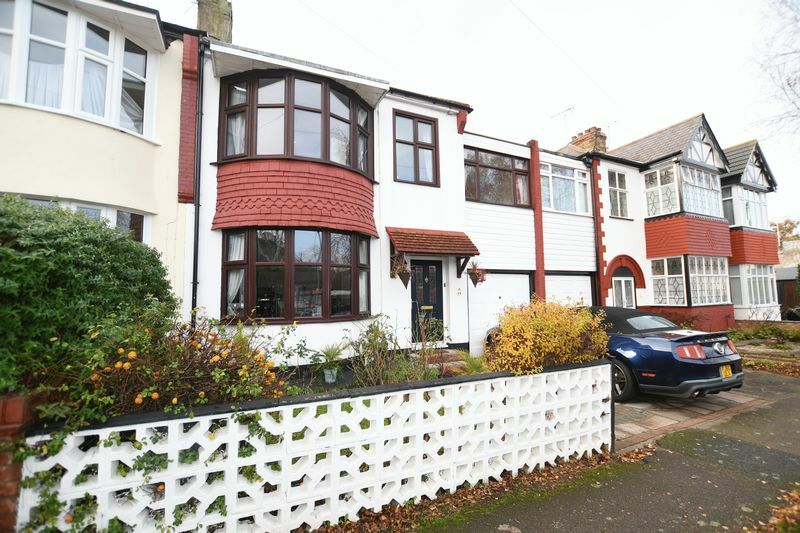 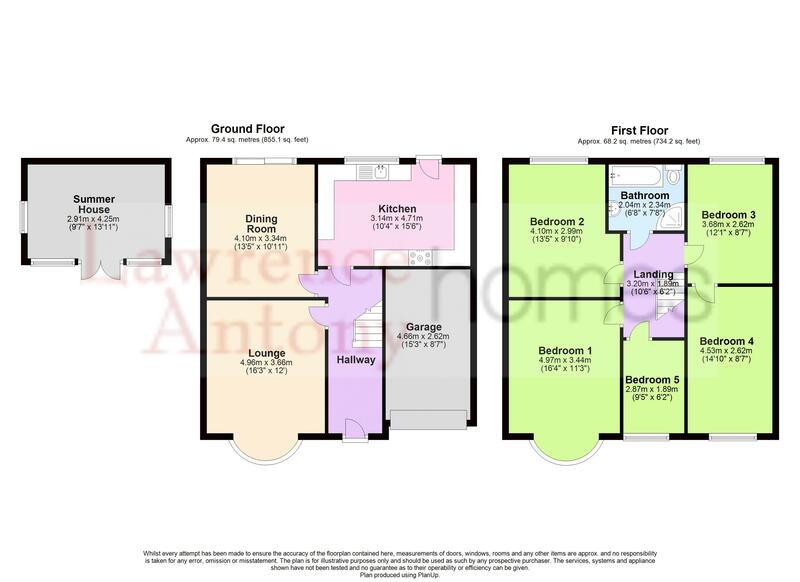 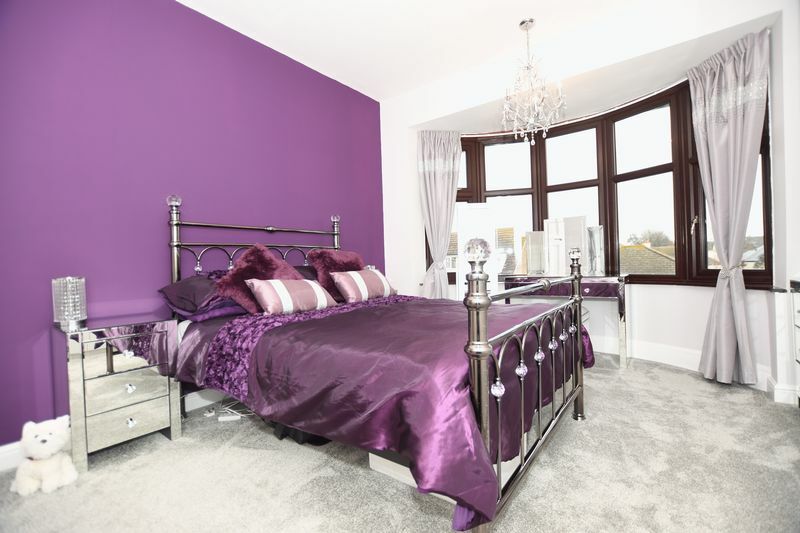 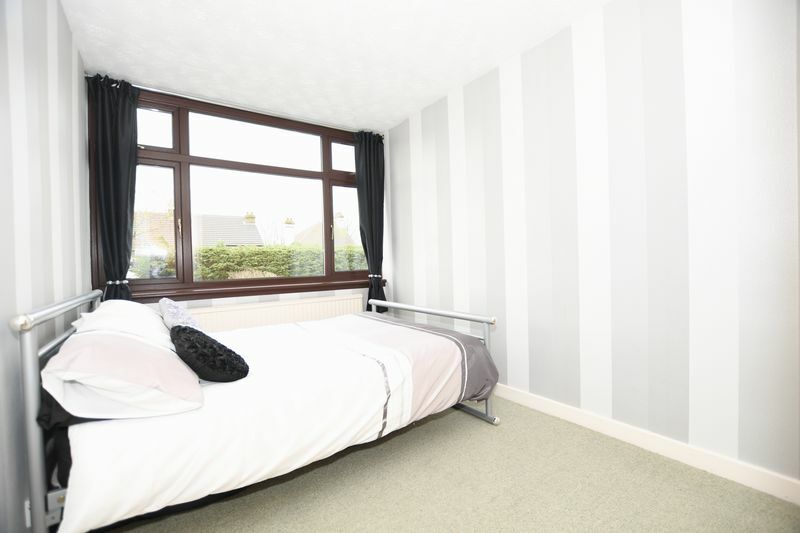 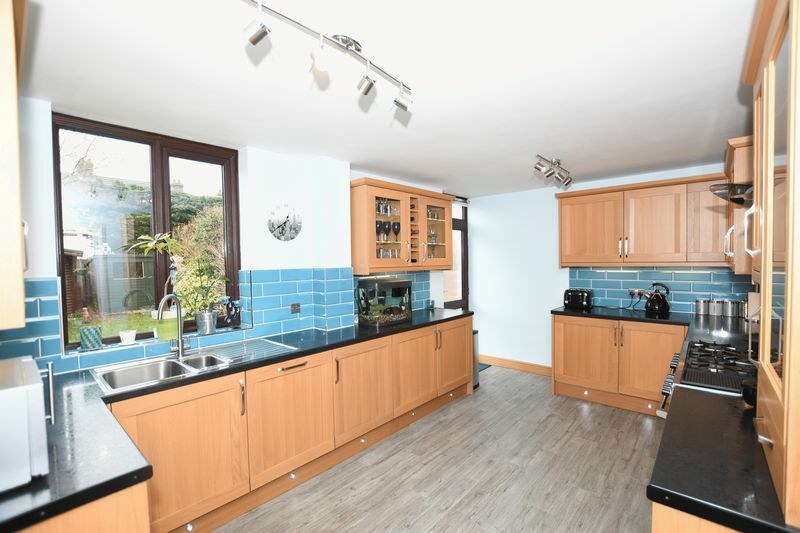 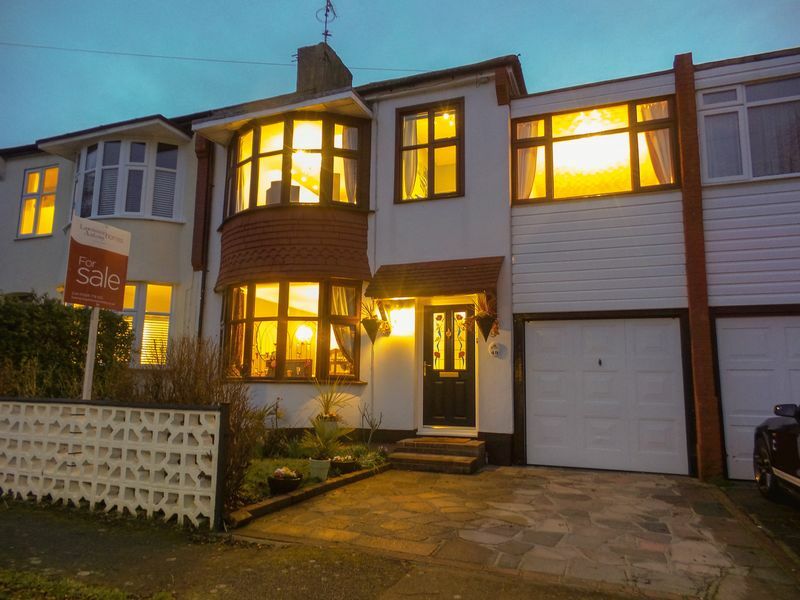 The property offers five bedrooms with the 3rd and fourth bedroom being linked this would be perfect for anyone with older children wanting more space, the first floor also offers a sunning modern four piece bathroom suite. 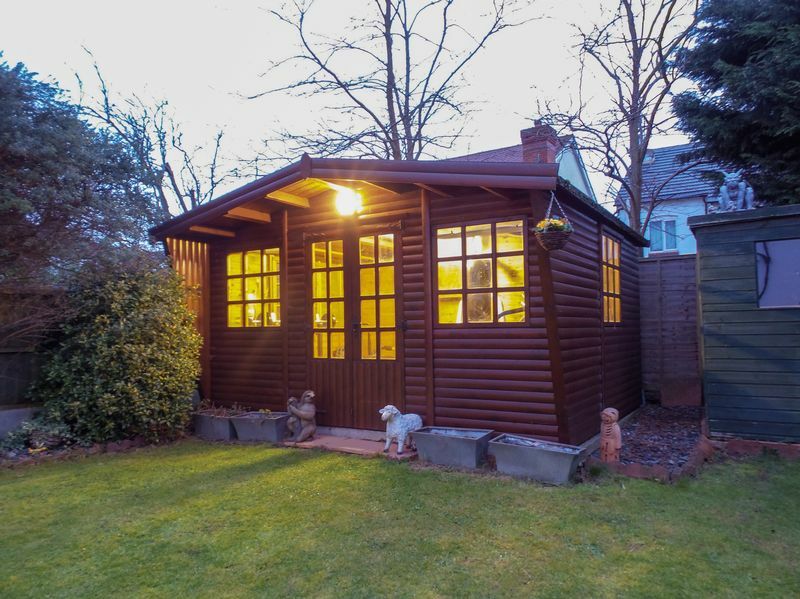 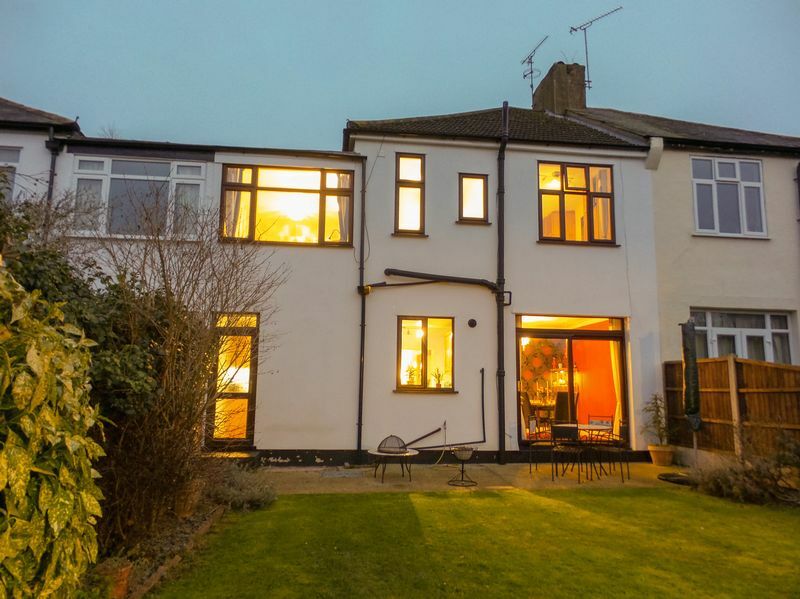 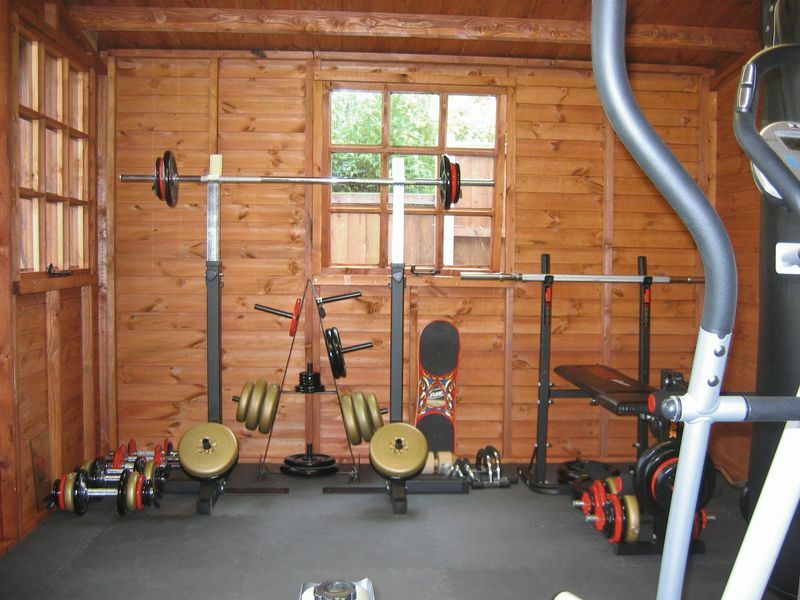 The ground floor offers two spacious reception rooms, a fully fitted kitchen breakfast room and garage whilst the 55' west aspect rear garden boasts a 13'11 summerhouse which is currently utilised as a gym. 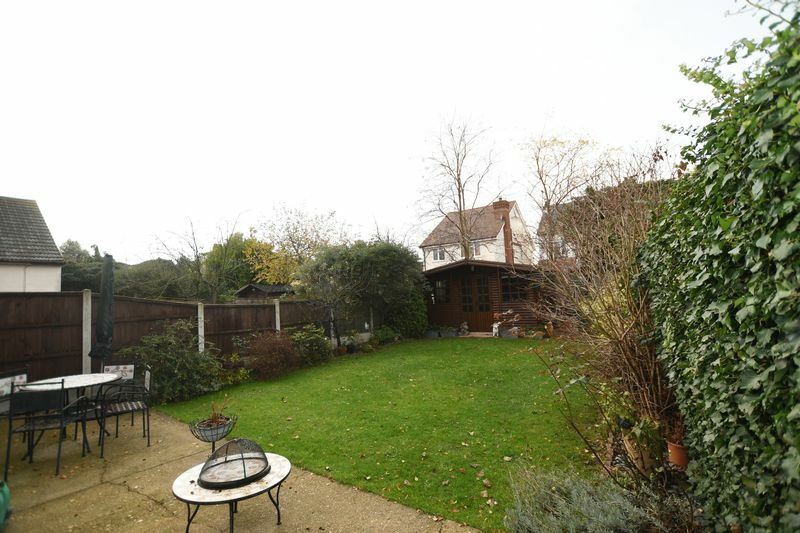 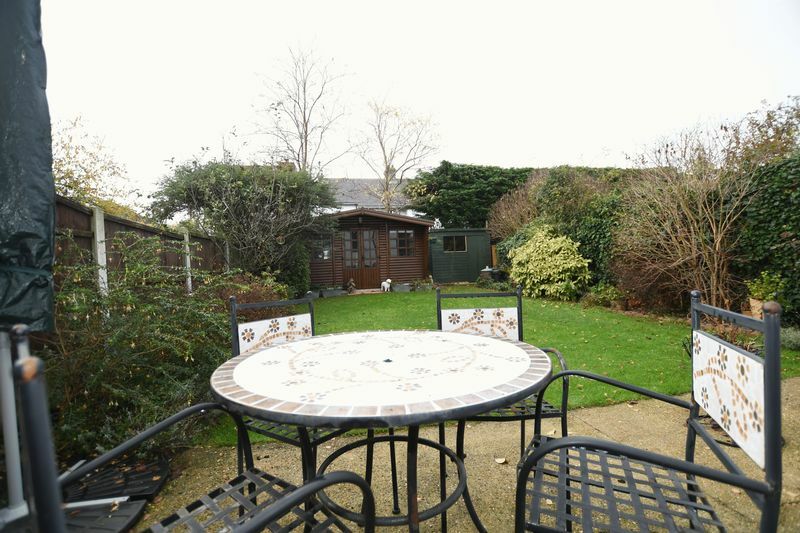 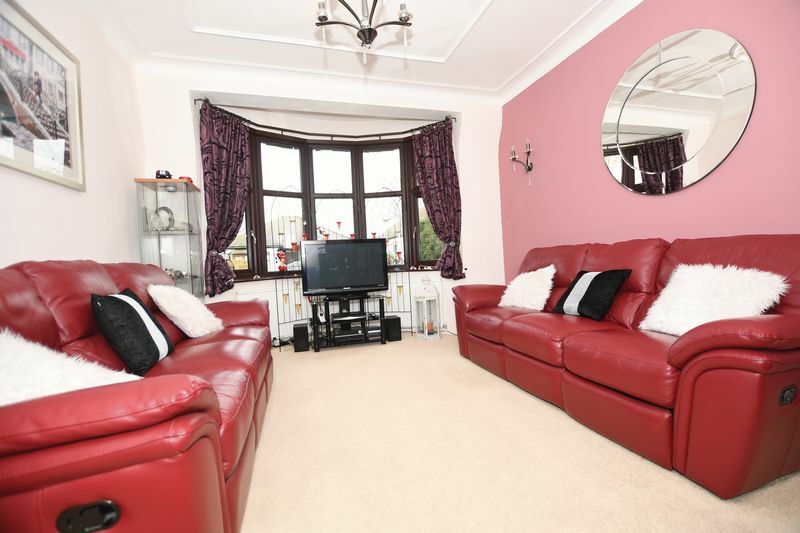 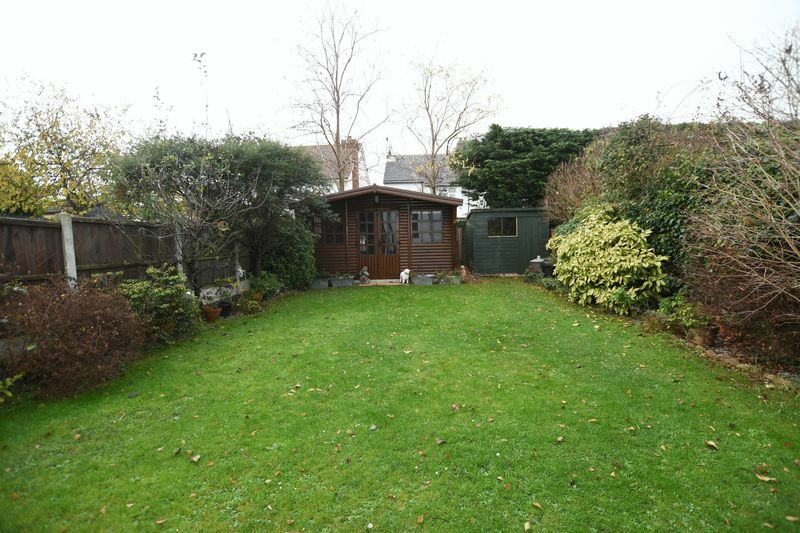 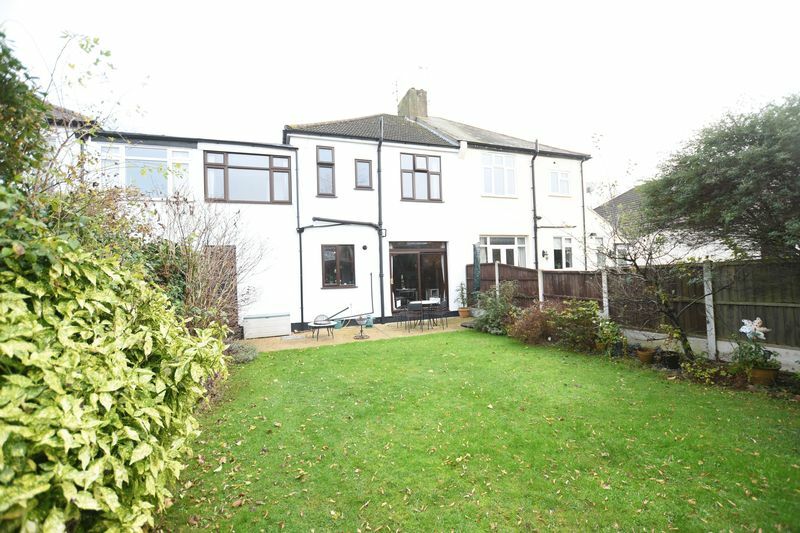 To book a viewing on this lovely family home please contact us on 01268 778333. 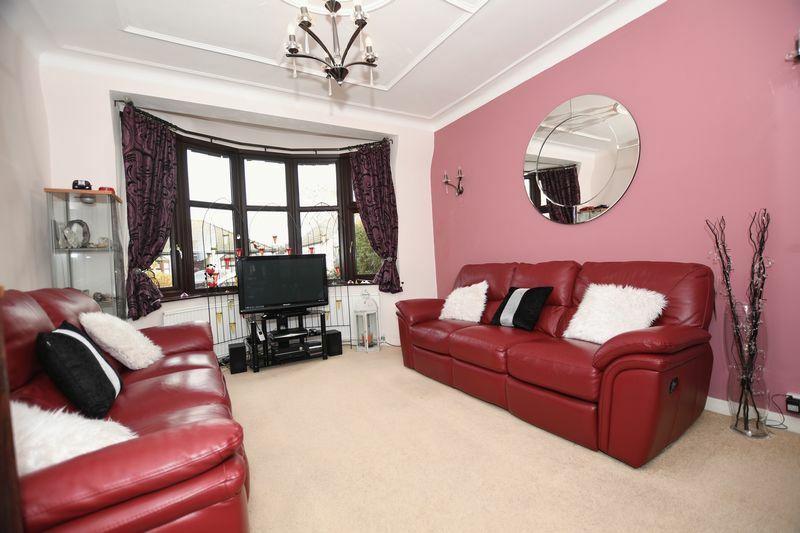 Double glazed bay window to the front aspect with curved radiator below, coving and ornate ceiling and light rose. 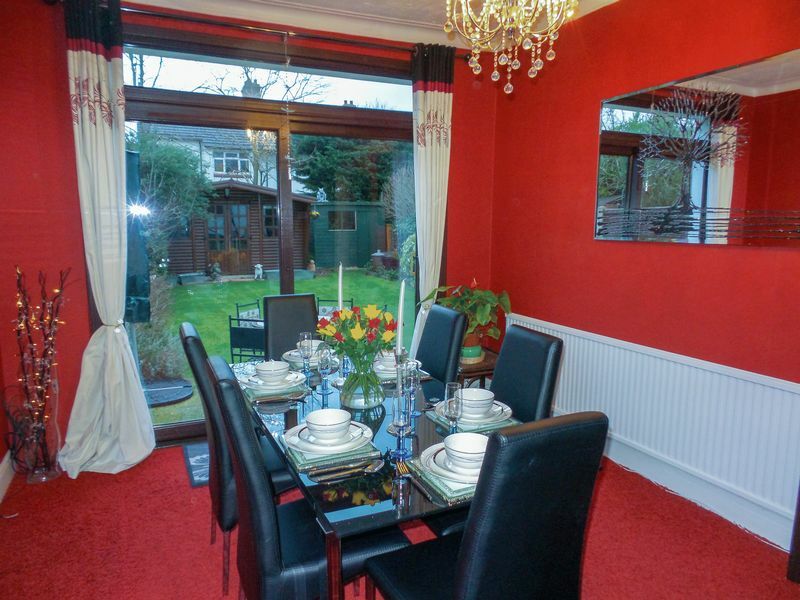 Double glazed patio doors leading to rear garden with double glazed window above, coving, radiator. 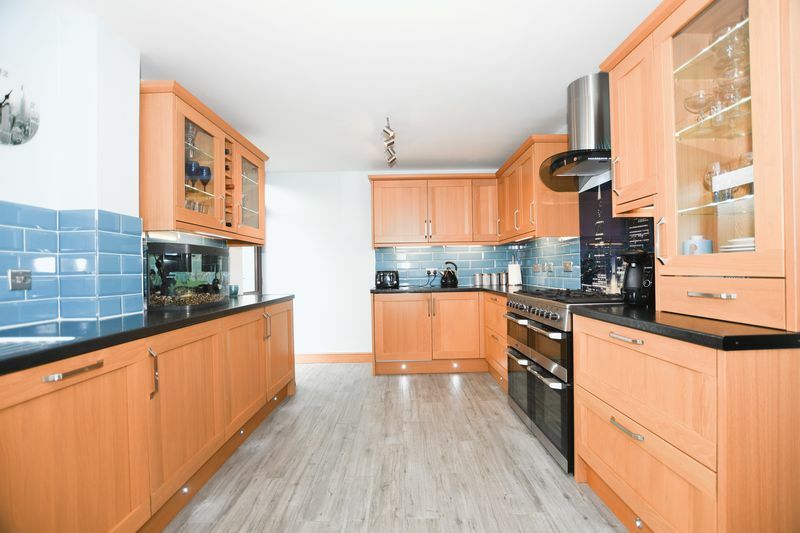 Fitted with an extensive range of base and eye level cupboards with under lighting and floor level level lighting, three eye level illuminated display cupboards, roll edge worktop surfaces with tiled surround and incorporating stainless steel one and a half bowl sink unit with mixer tap. 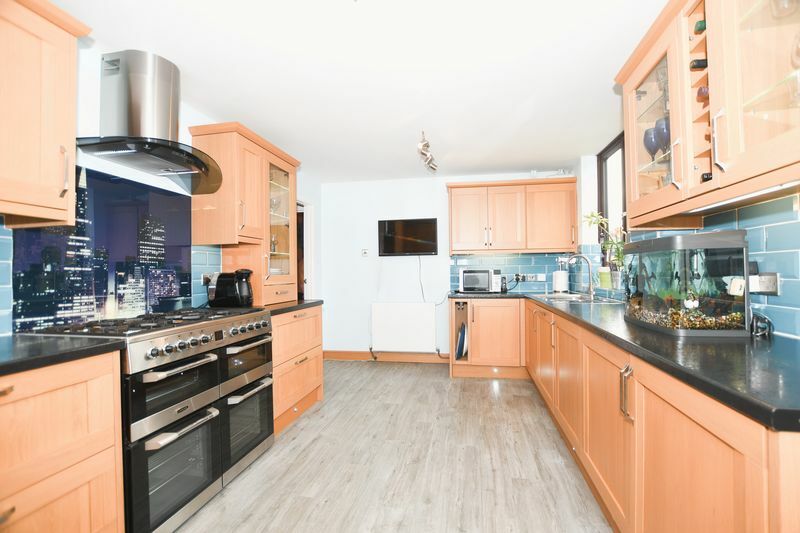 'Lesiure' range cooker to remain with chimney style extractor hood above and feature splashback, integrated fridge, freezer, dishwasher and washer dryer, concealed gas boiler. 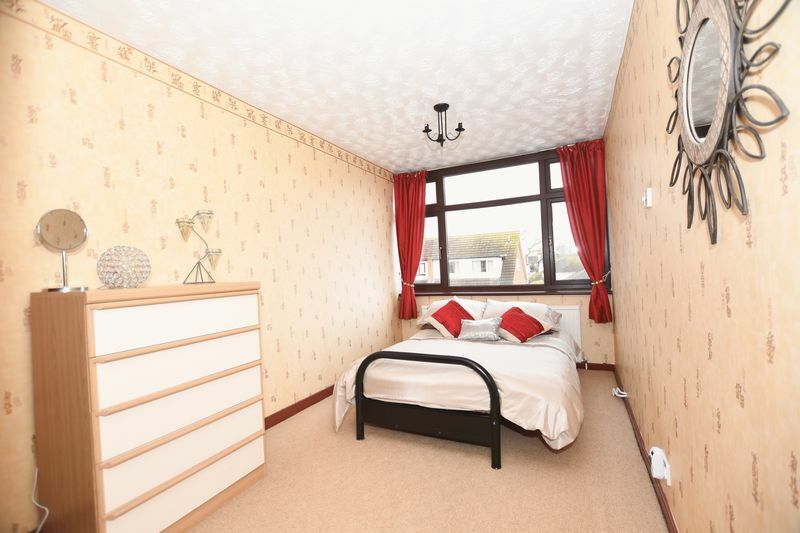 Tiled floor, radiator, double glazed window to the rear and opaque double glazed door leading to rear garden. 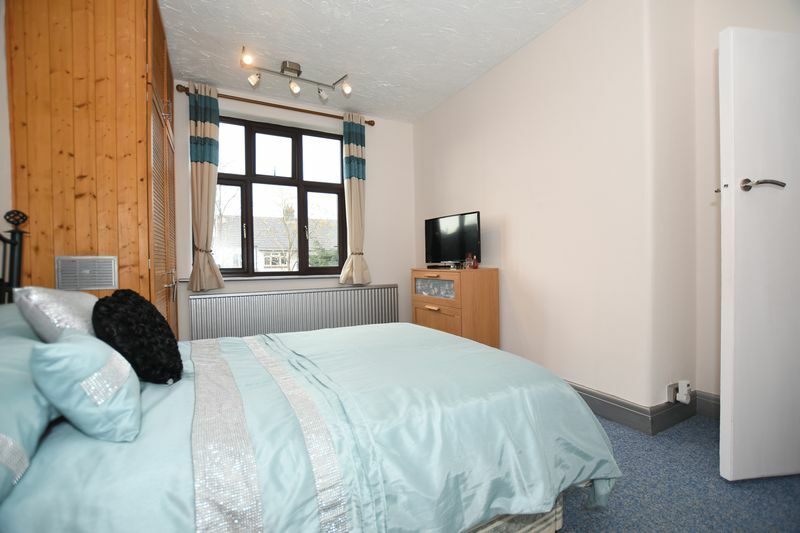 Double glazed bay window to the front, double radiator, fitted range of wardrobes with external and internal lighting. 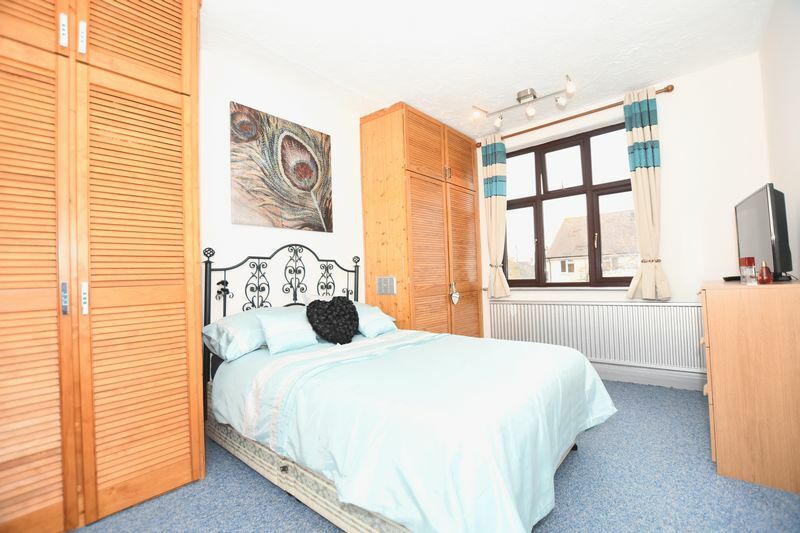 Double glazed window to the rear, radiator, tow fitted double wardrobes with cupboards above. 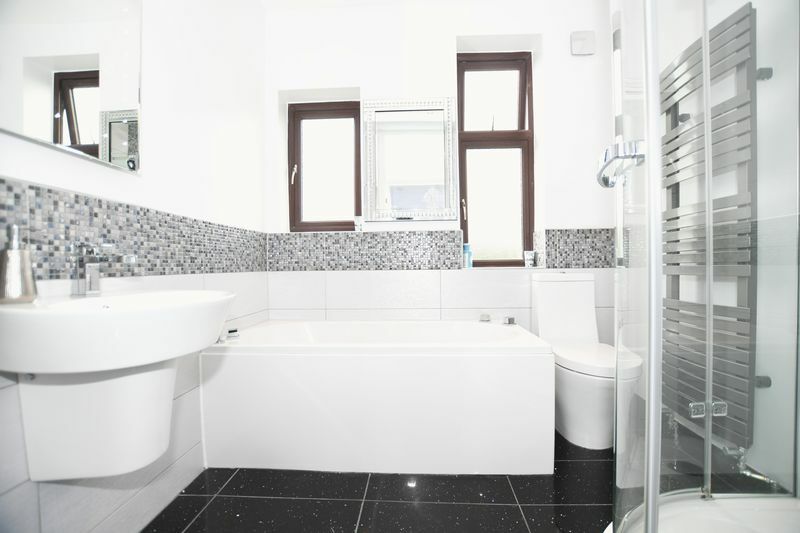 Luxury modern white suite comprising of double ended panelled bath with mixer tap and bath mounted shower attachment, corner tiled shower cubicle with screen door and electronically controlled 'Mira' rainfall style shower and additional hand held shower, wall mounted wash hand basin with mixer tap and low level w.c. 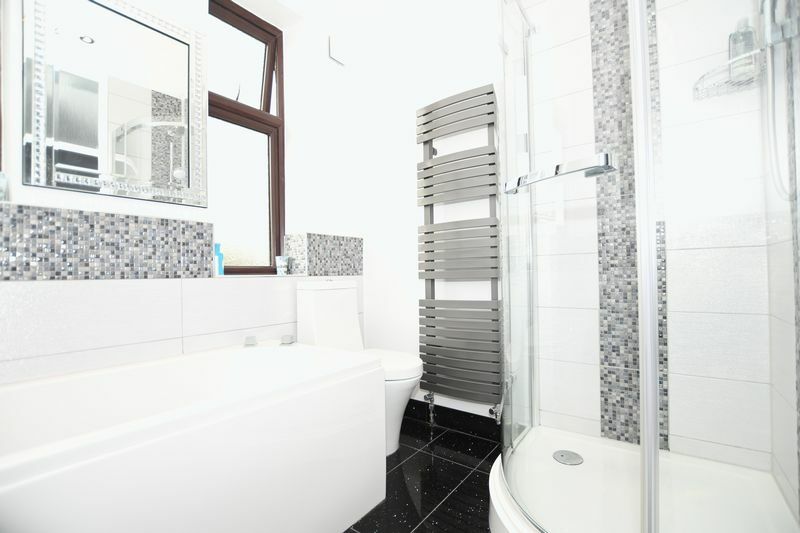 Feature heated towel rail, tiled flooring and walls, fitted vanity cupboard, extractor fan, opaque double glazed window to the rear. 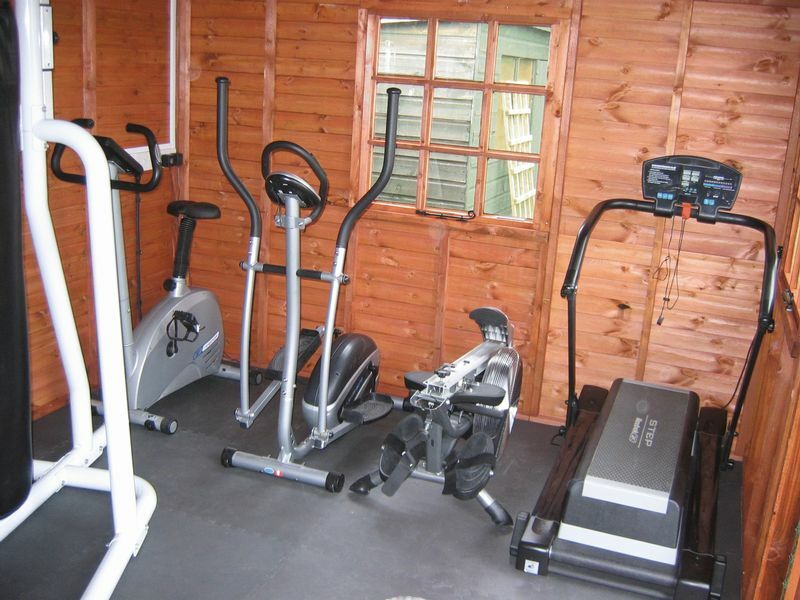 Offering power and light and currently utilised as a gym. 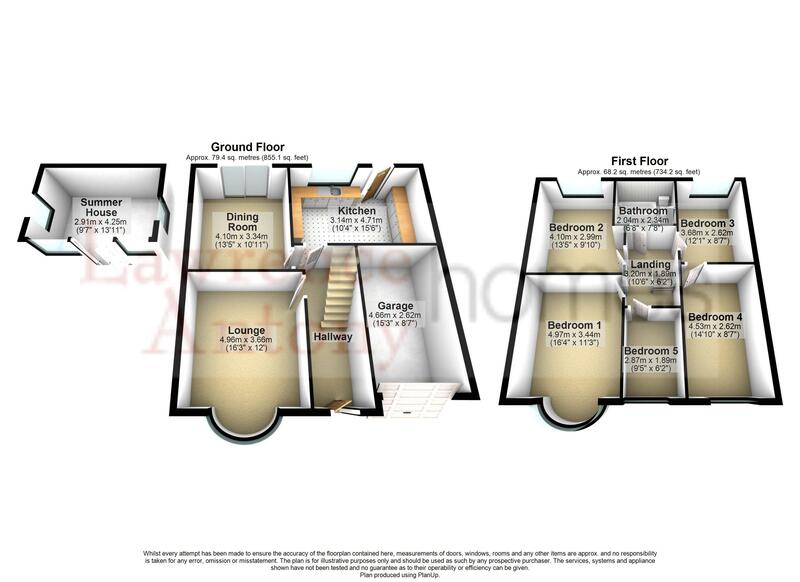 Approached via up and over door and offering power and light.